Being Retro: SUMTHING ELSE MUSIC WORKS AND CAPCOM RELEASE DEAD RISING® 4 ORIGINAL SOUNDTRACK... Download 12 Christmas songs from the soundtrack for free...for a limited time only! SUMTHING ELSE MUSIC WORKS AND CAPCOM RELEASE DEAD RISING® 4 ORIGINAL SOUNDTRACK... Download 12 Christmas songs from the soundtrack for free...for a limited time only! Sumthing Else Music Works, the premier record label dedicated to licensing and distributing video game soundtracks, proudly presents the Dead Rising 4 Original Soundtrack featuring the original music score from the new chapter of one of the most popular zombie game franchises of all time. The Dead Rising 4 Original Soundtrack will be available digitally at iTunes, Sumthing.com, and other music sites on December 2, 2016. As a bonus, Sumthing Else and Capcom are giving away 12 Christmas songs from the Dead Rising 4 Original Soundtrack, until December 2nd. To download these free tracks, visit http://www.sumthing.com/deadrising4 and enter the code: dr42016. 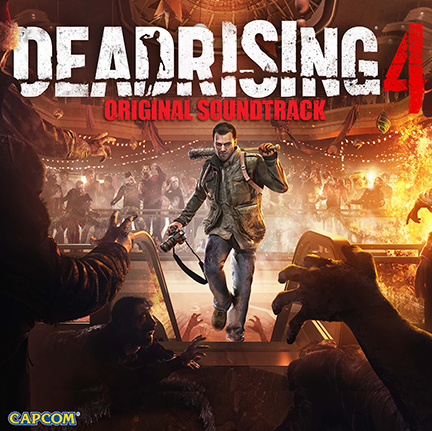 For a limited time, the Dead Rising 4 Original Soundtrack will also be available at a discount price of $9.99. "Dead Rising 4's soundtrack is best described as - atonal zombie action meets Classic Christmas in the Midwest," said Oleksa Lozowchuk, Dead Rising 4 composer and soundtrack producer. "Our hero, Frank West, returns to Willamette, Colorado this holiday season, amidst a glorious cacophony of Americana, swooning sounds of Christmas cheer, and pure orchestral horror bliss." Lovely to see you on line, great post. Enjoyed the read.